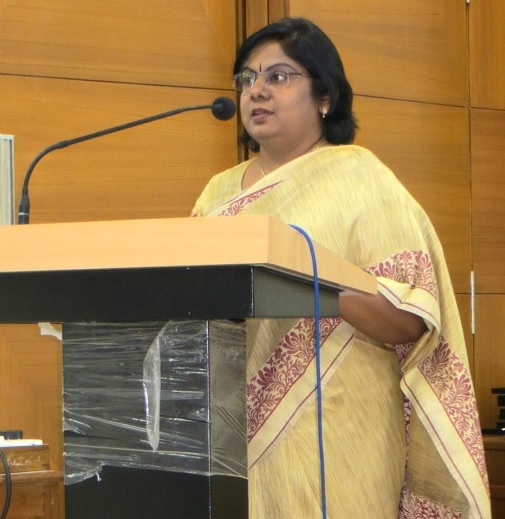 Freshness of ideas on her subject and a simple style of writing in her NavGujarat Samay weekly column during over the last three years have kept me connected with Dr Ranjana Harish even after she retired as Head of the Department of English, (GU). Most of her contributions are related to empowered and empowerment of women. She has been a factor in helping me understand feminism in perspective. It is not a belligerent stand against men. It only asserts that women are as much individuals as men are with their intellectual and emotional gifts. Only, in our patriarchal society, they have not for centuries been accorded such equal status and they have struggled for it. I have admired this gender perspective and have often interacted with her on reading many of her woman-centric articles, studied yet not laden with a researcher’s serious demeanour. she focuses on women, those from abroad as well, who have exceptional sensibility, intellectual power, emotional strength, aspirations, and have faced humiliations and struggles. Their triumphant invincibility wherever they are leaves them aparaajitas – the root in this word was celebrated by Satyajit Ray in his trilogy on the hero, not without strong hints of invincibility of the women in his film. 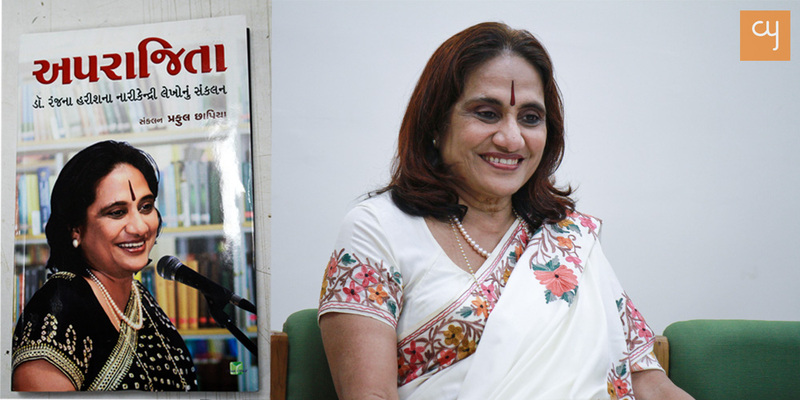 Verily, the title given by Praful Chhapia to a collection of Ranjana’s articles on this theme published by Book Shelf at his initiative is Aparaajita. The first flap of the book with the writer’s brilliant image, symbolic of the theme, on its cover-page has this significant quote on feminism from a key early 20th century writer, eminently known in English literature, Virginia Woolf ‘s A Room of One’s Own, translated by Ranjana into Gujarati as Maaro Pottano Orado : “Lock up your libraries if you like; but there is no gate, no lock, no bolt that you can set upon the freedom of my mind.” It spells the temperament of the gradually emerging modern woman that this book celebrates. The celebration has a tragic tinge to it and it keeps reminding the reader of an epic struggle that has led to these celebratory moments. Virginia Woolf developed a telling metaphor for a woman as a Magic Mirror in 1929. This magic mirror always enlarges the image of the man in her life and amplifies his talents and triumphs. The humble self-sacrificing woman never turned the mirror to herself. How true this has been in the patriarchal society anywhere in the world anytime! And yet, what humiliations society has inflicted on her! An American writer of a path-breaking book Writing a Woman’s Life (1988) Carolyn Heilbron believes every woman is brought up in a culture of silence and suggests she write her autobiography. It can have a therapeutic effect on her and can guide the next generation. In her Indian Women’s Autobiographies (1993), Ranjana introduced twenty-three autobiographies written by Indian women full of shocking details. 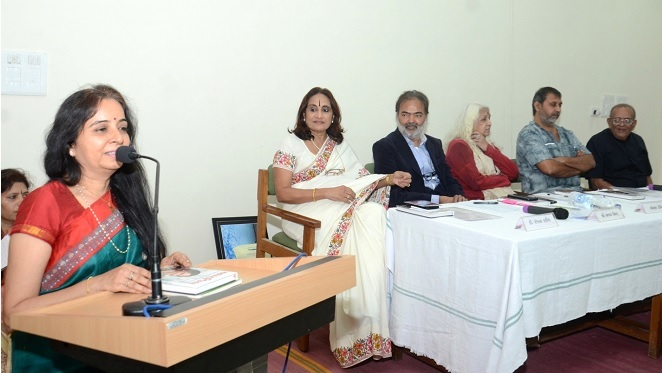 Aparaajita reveals tales of women from this genre and other sources from all over the world, which not only express their smothered feelings and aspirations but also heart-warming initiatives and developments. A teenage wife Rasasundari won’t remove her ghunghat even while watching her husband going to office outside the haveli because ‘Isn’t your horse watching?’ The same girl later, on becoming a mother, copied the alphabet on the kitchen floor with a piece of coal and taught it to her friends. There are many such gripping real-life stories in Aparaajita. My personally favourite piece is A Captive of Time: My Years with Pasternak, Olga Ivinskaya’s memoirs that revive memories of her intense lyrical relationship with Russian Nobel Laureate Boris Pasternak. Against the backdrop of a political turmoil, love in its noblest form between Lara and Zhivago blossoms in Dr Zhivago. What can be more thrilling than finding the original characters, in flesh and blood and feeling! Pasternak wrote to Olga after first meeting her, ‘My life, my angel, I love you truly!’ Not a day passed without his having sent her a fresh poem. He later said, ‘Lara is the second name of my birthplace, Russia’. This is but a taste. There are over fifty accounts of individuals and twosomes and fresh ones are being added to the writer’s weekly column. There are Ishvani, Malala and Helen Keller. There are the Brownings, Rilke and Andreas, Sartre and Sagan. Ranjana Harish’s is an example how a focused newspaper column can spread social awareness. 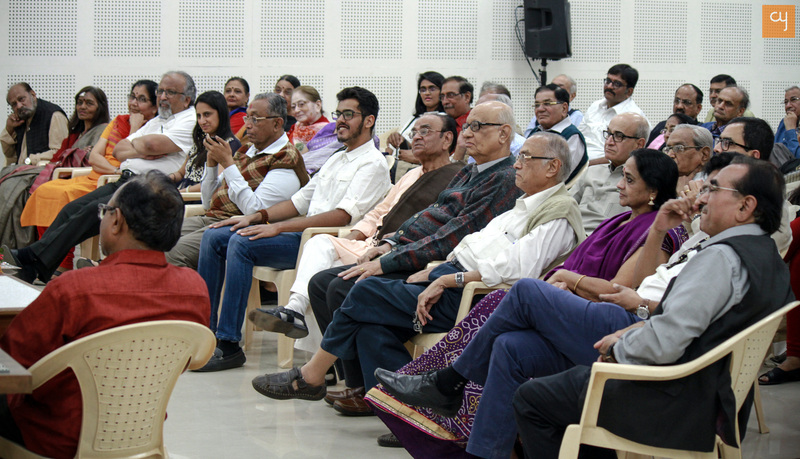 The three evolving young persons – Rucha, Nigam and Bela – who spoke at the launch (Navjieevan Trust) showed how relevant teaching by example and commitment remains in the digital age! If carefully proofread, Aparaajita has the merit of being prescribed as a textbook.